Nothing is going to stop technology from evolving. Not a major political election, not a country voting to leave the European Union, not terrorist attacks, and not even a company deciding that the headphone jack is dead No Stereo Jack, No Problem: Why the iPhone 7 Sounds Great No Stereo Jack, No Problem: Why the iPhone 7 Sounds Great It's official -- Apple has removed the standard 3.5mm headphone jack on the iPhone 7. But don't worry, this is a good thing. Read More . The year 2016 was witness to some gigantic strides in advancing how the world works, through the power of science and technology. 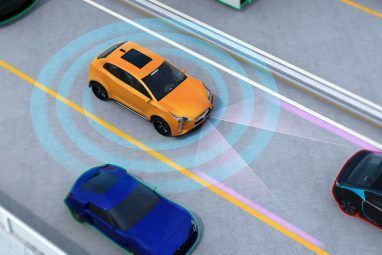 From revolutionizing transportation to doubling the battery life of your smartphone, here are the best tech breakthroughs of the year. Spoiler: We got ourselves a working jetpack! In your face, James Bond! Elon Musk is the technological genius of this era — and when he says he wants to change transportation, he means it. No, this isn’t about the Tesla electric car. Musk is tackling mass transit with the Hyperloop One, a tube-based train-like system that will cover large distances at incredible speeds. And this year, it was finally demonstrated. Just how fast is it? It hits 115 miles per hour in just 1.1 seconds — and no, that’s not a typo. At its peak, it will transport passengers from San Francisco to Los Angeles at 800 mph. Just for reference, the cruising speed for commercial flights is 575 mph. It’s a revolution in mass transit How Elon Musk's Hyperloop Could Change Mass Transit How Elon Musk's Hyperloop Could Change Mass Transit Elon Musk's hyperloop is a totally new kind of transit. Here's what we know so far. 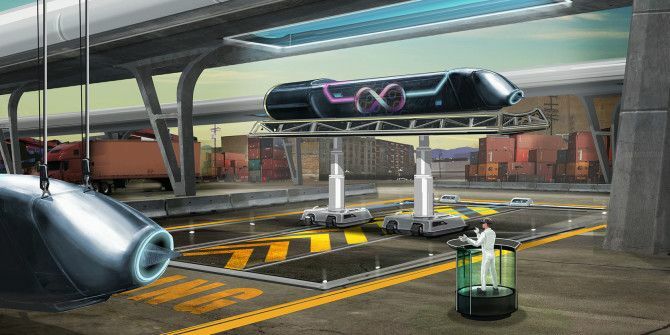 Read More , and the Hyperloop One is going to change our lives 4 Ways the Hyperloop Will Improve Life for You and Me 4 Ways the Hyperloop Will Improve Life for You and Me Everyone's talking about the Hyperloop, but why are people so excited for it? What will it be able to do and how exactly will it change our lives? Here are a few benefits. Read More . This year, students and researchers at the University of Washington discovered a new way to work with Wi-Fi. They call it Passive Wi-Fi. This technology will enable smartphones and laptops to “talk” to existing wireless networks by using less energy than they do now. Yes, this also means slower speeds, but it’s not that much of a hit because the big benefit here is battery life. Your phone and router are pinging data back and forth right now to locate each other. Passive Wi-Fi reduces the energy required for this by 10,000 times! Passive Wi-Fi Could Double the Battery Life of Mobile Devices Passive Wi-Fi Could Double the Battery Life of Mobile Devices Wi-Fi is one of the main causes of shortened battery life in smartphones, tablets, and laptops. Thanks to this new breakthrough, that may no longer be an issue going forward. Read More That’s a massive battery life boost. Another technology that we heard about last year is Li-Fi, which is basically Wi-Fi through light bulbs Li-Fi Is 100x Faster Than Wi-Fi, But What's the Catch? Li-Fi Is 100x Faster Than Wi-Fi, But What's the Catch? Everyone's going crazy over Li-Fi and its groundbreaking speeds, but is it really as good as they say? What are the drawbacks? Read More . Expect to hear more about this tech as it increases network speeds by up to 100x. The world is still slowly adopting 3D printing technology, but that hasn’t stopped scientists from going a step further. This year, we saw the advent of 4D printing technology. The good news is that it adheres to the same principles as 3D printing. In fact, you could look at it as an improvement on what 3D printing is all about What Is 3D Printing And How Exactly Does It Work? What Is 3D Printing And How Exactly Does It Work? Imagine if you could print out three-dimensional objects straight from a printer in your home. When I was a kid in primary school, I thought it would be awesome if I could print pizzas out... Read More . Right now, 3D printing gives you a single three-dimensional object — with 4D printing, that three-dimensional object will transform over time. The shape-memory alloy materials used in 4D printing will transform when given some stimulus, like a physical touch or electrical current, thus turning into something different. From next-generation sneakers to adaptable smartphone accessories, 4D printing is the future 3D Printing Evolves to 4D: Here's What We Know So Far 3D Printing Evolves to 4D: Here's What We Know So Far If you thought 3D printing was awesome, then you're going to be blown away by 4D printing. In this article, we explore what it is and how it could be useful. Read More . Drones are nothing new — the idea of robots that fly like airplanes is ho-hum stuff now — but how about robots that ferry you from one place to another, like an aerial taxi? 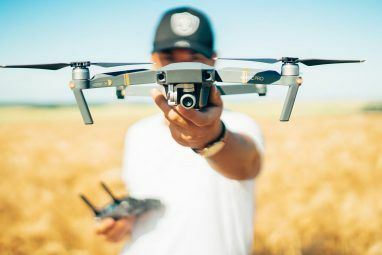 If that piques your interest, you’ll love the advances some companies are making with passenger drones. 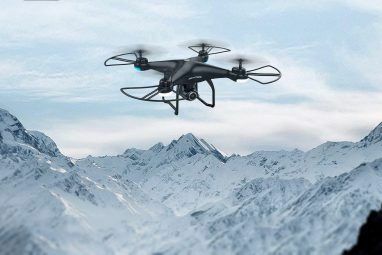 One thing to note right off the bat: passenger drones are NOT flying cars Forget Flying Cars: Passenger Drones Are Almost Here Forget Flying Cars: Passenger Drones Are Almost Here It's one thing to fly a camera-attached drone. It's something else to ride in that drone while you fly it. Passenger drones are coming and here's what you should know. Read More . You “drive” a flying car whereas this machine flies itself with a preset flight path. It also accommodates only one passenger at a time, so you can’t have your whole family piling in. That said, it can make your daily office commute a whole lot cooler and easier, right? You probably heard about this in the middle of the year. A robot beat the world’s best human player of a strategy board game called Go. What’s the big deal, you wondered? Well, to put it in simple terms, Go is so complex in terms of strategic combinations that it makes chess seem like a kid’s toy. So when Google’s AlphaGo robot beat the best human Go player, it meant artificial intelligence had improved far more than anyone had anticipated. Beating Go was considered an impossible task for current-generation computers and technology, so AlphaGo’s victory brings us closer to true artificial intelligence Google's AI Breakthrough: What It Means & How It Affects You Google's AI Breakthrough: What It Means & How It Affects You Read More . The kind that can truly understand humans, maybe. Major technological breakthroughs tell us about what our world will be like a few years down the line. But it’s the small things that have immediate effect on our lives. Take, for example, the new HDMI Alt Mode specification, which was agreed upon by the groups that control both HDMI and USB Type-C standards. So what’s HDMI Alt Mode Everything You Need to Know About HDMI Alt Mode and USB Type-C Everything You Need to Know About HDMI Alt Mode and USB Type-C The new HDMI Alt Mode standard will allow phones and tablets to stream directly to monitors and TVs using USB-C-to-HDMI cables. Here's all you need to know about it. Read More ? In simple terms, it will let you connect any device with a USB-C port to any device with an HDMI port. With a single wire, you’ll be able to connect your smartphone to your TV — no adapters or special hardware needed. One cable to rule them all! The best part is that HDMI Alt Mode is expected to become a consumer reality by CES 2017. The most immediately available new technology breakthrough of 2016 is the Ultra HD Blu-Ray disc Everything You Need to Know About Ultra HD Blu-Ray Everything You Need to Know About Ultra HD Blu-Ray Ultra HD Blu-ray is one of the hot topics in home entertainment for 2016. Curious? Here's everything you need to know about it to decide if it's worth getting excited over. Read More . This is a new type of Blu-Ray disc that stores more data so that it can show 4K resolution videos and add in other data like HDR standardization for videos HDR TV: What It Is & Why You'll Need It in 2016 HDR TV: What It Is & Why You'll Need It in 2016 High Dynamic Range, or HDR, is shaping up to be the big TV buzzword for 2016. But what is it? Will it live up to the hype? Here's all you need to know. Read More . At the moment, Ultra HD Blu-Ray is a little inaccessible. You need a player that supports the standard, which your current-gen Blu-ray player or PlayStation 4 doesn’t. You also need a TV that can support HDR technology to take full advantage of the tech. It’s a mess, but at least we have actually started with it in the market, so things should settle down soon enough and you can make a wise purchase decision. You always worry about how long your data can last on anything you store it. Whether it’s a hard disk, an SSD, or a Blu-ray, the question is always there: how long will your storage media last? Hard Drives, SSDs, Flash Drives: How Long Will Your Storage Media Last? Hard Drives, SSDs, Flash Drives: How Long Will Your Storage Media Last? How long will hard drives, SSDs, flash drives continue to work, and how long will they store your data if you use them for archiving? Read More Data longevity is a big issue, especially for historical value, so some scientists have a new solution — the 5D Data Disc. Now we can produce a storage device that holds up to 360 TB of data per disc. It can survive at room temperature for up to 14 billion years without any data loss, meaning that 5D data discs can even outlast the sun 5D Data Discs Can Outlast the Sun, But What's the Catch? 5D Data Discs Can Outlast the Sun, But What's the Catch? 5D data discs can supposedly last for billions of years and store terabytes of data at a time. That sounds nice, but what are the drawbacks to this technology? Read More . Not only that, but it can withstand temperatures of up to 1,000 degrees Celsius if necessary. This is the next step in storage media. No technology affects the modern consumer more than battery life. From your smartphone to your laptop, it’s the most important thing you look for. Without good battery life, your device is a high-tech brick. Currently, most batteries are lithium-ion How a Battery Works and 3 Ways You Can Ruin It How a Battery Works and 3 Ways You Can Ruin It The modern battery is featured in so many of our favourite technologies that you could almost be forgiven for not spending time learning about their workings. Read More , which has a liquid anode for power. But there’s a new innovation on the horizon. SolidEnergy Systems, a spin-off of MIT, made a new lithium-metal battery that is smaller, faster, and doubles the capacity of current lithium-ion batteries. Basically, in two batteries of the same physical size, the lithium-metal battery will last twice as long. Another way to think of it, we’ll get the same battery life for half the size. This is one piece of future technology that we’re looking forward to more than any other! Finally, we come to the big breakthrough of the year. It’s everyone’s dream to fly through the air with the greatest of ease, and a personal jetpack is the sci-fi highlight we’ve always looked forward to. This year, the JB-9 by Jetpack Aviation turned sci-fi into reality by demonstrating the first real in-flight jetpack. You can go as high as 10,000 feet and you can go as fast as 60 mph. There are no tricks here, like upthrusting water or using a miniaturized helicopter. It’s what you imagine a jetpack to be when you close your eyes and let your imagination go wild. Read all about it and start saving up! Which technology in the past year really astounded you? Which of these featured breakthroughs are you looking forward to seeing so it can change your life as you know it? Let’s talk about the future. Explore more about: Artificial Intelligence, Drone Technology, Futurology. QLED vs. OLED vs. MicroLED: Which TV Display Tech Is the Best?